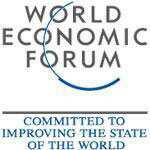 Mumbai: Reducing corruption, enhancing innovation, adopting technology, training workers and reforming the power sector topped the “wish list" of local and global experts at Monday’s concluding session of the World Economic Forum’s India Economic Summit. Their suggestions will be presented to the Planning Commission. “Government needs to enable new lines of jobs," Joerres said. Also, mid-level companies need to change their approach to training and stop seeing it as a way of preparing staff for their next jobs at a time when attrition is high. Huguette Labelle, chair, Transparency International, Germany, proposed an agenda for the Planning Commission to tackle the issue of corruption. “Corruption feeds poverty, it seeds violence. It chases away investors," she said. According to her, involving the youth and charting out the kind of society and community they want could be a step forward. What are the issues that should be on the top of India’s economic agenda? A select panel at the India Economic Summit debates. She suggested that the Confederation of Indian Industry (CII) could encourage companies to take a “no bribery" stance and come up with tough rules such as disqualification if caught doing under-the-table deals. Making information more easily accessible was another of her suggestions. “National and state governments should find ways of publishing their revenues and details of disbursal at all levels, so that people know what to expect," she said. Tulsi Tanti, chairman and managing director, Suzlon Energy Ltd, said the power sector is crucial to growth, but it is grappling with manpower constraints. “We need to set clear targets for power in India. It’s a highly regulated sector and is driven by policies," he said. 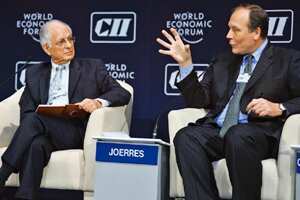 Godrej Group chairman Adi Godrej said the progress India has made in terms of inclusion is due to economic growth, and called upon the Planning Commission to ensure that gross domestic product (GDP) growth is sustained. “There are reforms like goods and services tax that can be introduced. This reform alone could add 1-2% to the GDP," he said. India is a world of contrasts, said Ben J. Verwaayen, chief executive, Alcatel-Lucent, with some people who lead lives similar to those in the developed world and others who are still untouched by innovation. “Will the real India stand up when the world needs activity from India," he said, indicating that the country needs to empower all its people for sustained growth. Arun Maira, a member of the Planning Commission, who was chairing the panel, said all these suggestions will be considered as the government realizes that new models are required for inclusive growth. “We need a shared vision on the kind of country we wish to make. We need to deepen our democracy," he said.